Alaska is larger than all but 17 of the world’s countries. It is home to Mt. McKinley, the highest mountain in North America. It has the largest US national forest, the Tongass; the largest US national park, Wrangell-St. Elias National Park; the largest sub-polar ice field in the world, Bagley Ice Field; the southernmost tide water glacier in North America, Le Conte; the northernmost city in North America, Barrow; and the third longest river system in North America, the Yukon. This vast state is nearly 600,000 square miles of rugged mountains, glaciers, endless tundra, and countless icy rivers and streams. Modern cities (just a few) sit in the shadow of those mountains and glaciers. Seven great mountain systems shape the terrain of Alaska. From the Aleutian Range on the Alaska Peninsula to the North Slope’s Brooks Range, the northernmost mountain chain in the US, Alaska is shaped and defined by its mountains. The Alaska Range, comprised of over 500 mountains including Mt. McKinley, lies in the heart of Alaska. In the shadow of the Alaska Range are the Chugach Mountains. West of the Alaska Range, along the Yukon-Kuskokwim rivers system are the Kuskokwim Mountains. The towering Wrangell and St. Elias Mountains contain ten of the fifteen highest peaks in North America with the international boundary between Alaska and Canada’s Yukon Territory cutting through the St. Elias Mountains. The Coastal Mountains SE of St. Elias form a 900 mile line of jagged mountains reaching down the southeast panhandle of the Inside Passage. Alaska’s population is as diverse as its terrain. Descendants of its native people, the Inupiat, Yup’ik, Aleut, Alutiiq, Athabascan, Tlingit, Tsimshian, and Haida, share the land with every ethnic group found in the Lower 48. Fishermen rub shoulders with bankers, military, and oilfield workers. They live in cities like Fairbanks or Anchorage, and in villages like Bettles or Huslia. Those living on the shore of the Arctic Ocean in Barrow can return from fish camp or a whale hunt and keep in touch with friends via high speed internet…and then enjoy dinner at the farthest north Mexican restaurant, Pepe’s North of the Border. 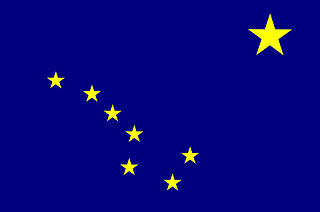 Alaska's enormous size carries enormous responsibilities for the state government. Alaska sprawls across four time zones (even though three of these have been politically combined into one). It covers 57.5 degrees of longitude, which equals the span of land from Maine to Washington. North to south, Alaska extends through 20 degrees of latitude, from 51 to 71 degrees, which equals the span of land from a latitude south of London, England, to within nineteen degrees of the North Pole. In addition, the coastline of Alaska exceeds the combined coastlines of all the other states in the U.S., including Hawaii. 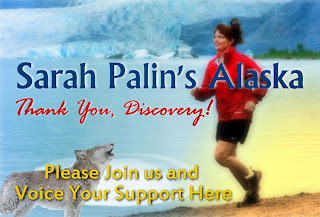 Alaska is also home to Sarah Palin, a woman as inexorably tied to the land as the people who crossed the Bering land bridge centuries ago. In her we find the spirit of those who endured hardship and the unknown to challenge this fierce and beautiful wilderness. This ordinary woman, this wife and mother turned mayor, governor, energy expert, vice-presidential candidate, NY Times best-selling author, national political consultant and star of two highly acclaimed documentaries, is the embodiment of the spirit of this incredible place called "The Great Land". Sarah Louise Heath Palin was the first woman, and the youngest person ever to be elected Governor of Alaska. And with an approval rating of almost 90%, she was the most popular governor in America. Now, Sarah Palin has become one of the most well-known women in the world. Young Sarah was just three months old when her father, Chuck Heath, a science teacher and outdoor enthusiast, moved the family from Sandpoint, Idaho to Skagway, Alaska Skagway, a former Gold Rush town perched on the northern edge of the Inside Passage and rimmed in by mountains, got its name from the Tlingit word, Skagu meaning "home of the north wind". This historic village of 650 people could only be reached by boat, small planes landing on a short, graveled airstrip, or by riding the Yukon-White Pass Railroad through Canada. It was home to the Heath family for the next 5 years. The Heaths moved to Anchorage in 1969, and a couple of years later had saved enough to buy a small house in the tiny town of Wasilla. There Sarah grew to adulthood, learning to hunt, fish, and love the outdoors. Self-reliance, chores, reading, sports and a solid foundation of faith bound this small family together and provided a basis for her future strength and solid work ethic as mayor, governor, vice presidential candidate, and nationally-acclaimed political leader. There are those who are disdainful of the fact that she was willing to get her hands dirty, working on fishing boats, in a cannery, or whatever work she could find to pay her own way through college. They also elevate their noses at the fact that, like Ronald Reagan, she earned her degree from a state college and not an Ivy League university. 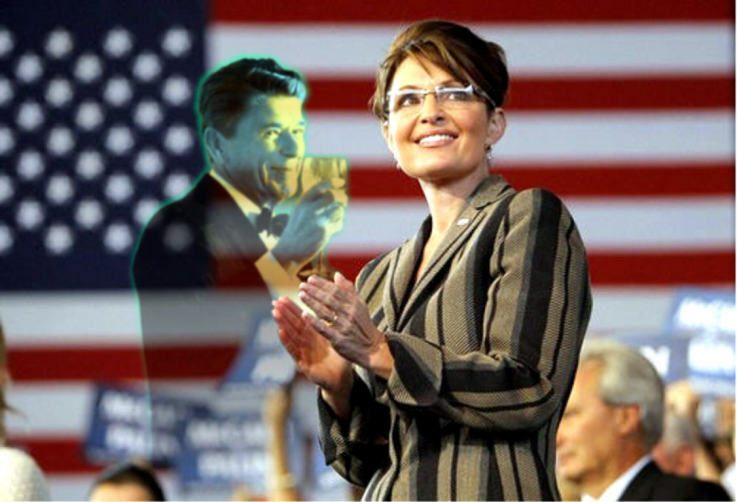 Like Reagan, Sarah Palin worked as a sportscaster for KTTU-TV and KTVA-TV, and as a sports reporter for the Mat-Su Valley Frontiersman. Palin’s first foray into public service as a young woman started with her joining the PTA at her children’s local elementary school. She was then recommended for the Wasilla City Council where she served two terms, followed by two very successful terms as Mayor of Wasilla and as President of the Alaska Conference of Mayors. She worked tirelessly to upgrade infrastructure and bring businesses (and increased revenues) into her city. Under Mayor Palin, the City of Wasilla went from a small whistle-stop town on the road to Anchorage to the fastest growing city in the nation. From the local political stage, Palin moved on to state government, narrowly losing the race for Lt. Governor. However, her talents and efforts did not go unnoticed. 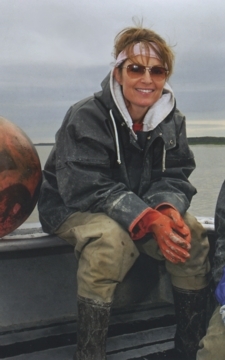 She was appointed to, and named Chairman of the Alaska Oil and Gas Conservation Commission. The next step for Palin was to toss her hat into the ring for the governorship. Her campaign was pure Palin; a low budget, but energetic run that included backbreaking travel across the huge state to meet and listen to as many of her future constituents as possible. Trips like the 12-hour drive from Wasilla to Valdez over Thompson Pass during the winter of 2005. With her daughters asleep in the back seat of her car, she kept herself awake with a few breaths of sub-zero air and Toby Keith blasting "How Do You Like Me Now?" from her CD player. Her campaign focused on cleaning up government waste and corruption, and facilitating private-sector development of energy resources. More specifically, the goal was to ramp up America’s energy supplies and build the 3,000 mile $40 billion natural gas pipeline that previous governors had promised, but failed to deliver for over thirty years. In a five-way race, including the sitting Republican governor, Palin won the primary, with 51% of the vote. Then, on November 7th 2006, she easily defeated the Democrat’s candidate, a popular former governor, to become the first woman governor of Alaska. Governor Palin got right to work. She co-wrote and signed into law the Alaska Gasline Inducement Act (AGIA) and negotiated with Canada to build a natural gas line from Alaska to the lower 48 states. The closed door negotiations of the Murkowski administration were gone. Under Palin and her team, "The Magnificent Seven", transparency and open competition was in. She cut over a billion dollars from the budget, while protecting the most vulnerable, and vetoed all earmark requests that were not needed for crucial infrastructure. In her role as Commander-in-Chief, Governor Palin visited Alaskan National Guard troops in Kuwait, Kosovo, and wounded troops in Germany. In addition to being acknowledged as one of the most successful, productive and bi-partisan Alaskan governors, she also accomplished the astounding feat of fulfilling every one of her campaign promises both as Mayor and as Governor. During the course of her administration and afterwards, Governor Palin built a network of allies around the globe. She met with the leader of Iceland, traveled to Ireland, Canada and Mexico. At the UN National Assembly Meetings she met with Henry Kissinger with whom she discussed their insights on the Russia’s Georgian situation. 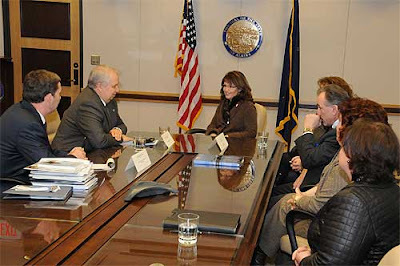 Governor Palin sat down for discussions with Afghan President Hamid Karzai and Colombian President Alvaro Uribe. Colombia's foreign minister, Jaime Bermudez, told The Associated Press that Palin and Uribe discussed the Bush administration's free trade agreement with Colombia as well as the crisis on Wall Street. Bermudez later praised Palin, saying, "She knows the topic well." President Uribe's press secretary, Cesar Mauricio Velasquez, said that the meeting, which lasted for 25 minutes, also touched on Colombian security and the war on terrorism. "The conversation was interesting, opportune and relaxed," he commented. Palin recently delivered a very successful keynote speech in India where she met with Indian Prime Minister Singh and Egypt’s Mohamem Eibaraden, and then accepted an invitation to travel to Israel to meet with Prime Minister Netanyahu. She also met with Georgian President Mikhail Saakashvili, Ukrainian President Viktor Yuschenko, Iraqi President Jalal Talabani, and Pakistani President Asif Ali Zardari. In celebration of Alaska's 50th anniversary of statehood, Palin hosted a large contingent of dignitaries including Sergey Kislyak, the newly appointed Ambassador of the Russian Federation to the United States, who was making his first visit to Alaska. 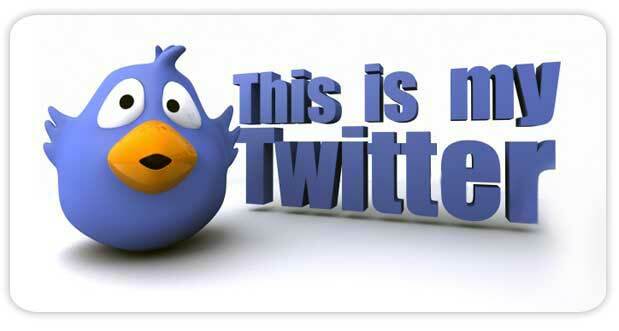 Sarah Palin has written two NY Times #1 bestselling books, both selling over 2 million copies. She also provides political commentary for top rated Fox News, and hosted a highly rated television series about Alaska on The Learning Channel. 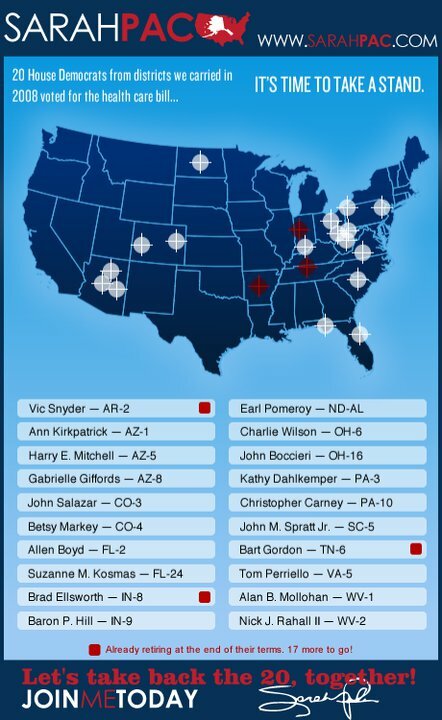 Palin continues to accept invitations around the country as a keynote speaker at many events including Tea Party gatherings, economic, political, and charitable events. Palin’s outstanding record of achievements as governor of Alaska are the subject of a new documentary, The Undefeated just beginning to be shown to sold-old audiences across America. Those who claim she has no experience and no achievements are beyond disingenuous. She's been proven (often by her enemies) to be the most honest, ethical, and hardworking politician in modern history, as well as one of the most powerful political figures in America. This is a beautiful song…especially sung by a single vocalist. This version is by a choral group, but is still very nice. Often brings tears to the eyes of old time Alaskans.